The city forms the core of the United States Census Bureau's Fond du Lac Metropolitan Statistical Area, which includes all of Fond du Lac County (2000 population: 97,296). 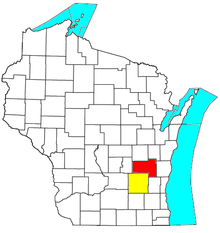 Fond du Lac is the 342nd largest Metropolitan Statistical Area (MSA) in the United States. 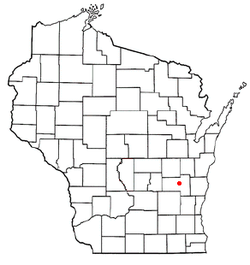 The Fond du Lac MSA and the Beaver Dam (city), Wisconsin Micropolitan Statistical Area, form the larger Fond du Lac-Beaver Dam Combined Statistical Area. James Doty, a federal judge for the western part of the Michigan Territory, thought that the land at the foot of Lake Winnebago might be a good location for a city, so he and his partners bought land in the area. In 1836, during the Wisconsin Territorial Legislature, John Arndt proposed making Fond du Lac the new capital. The motion failed, and Doty convinced the legislature to choose Madison instead. Colwert and Fanna Pier were the first white residents of the area. In 1835, the construction of the Military Ridge Road began. It passed through Fond du Lac, connecting the forts in Wisconsin and Fort Dearborn in Illinois. The first school in Fond du Lac was built in 1843. The first railroad came to the community in 1852. About 1856, the first English newspaper in Fond du Lac, the Fond du Lac Commonwealth, was founded. Logging and milling were primary industries in the late 1880s, with access to the lake as the engine of the industry. Fond du Lac is located at 43°46′N 88°27′W﻿ / ﻿43.767°N 88.450°W﻿ / 43.767; -88.450 (43.775, -88.445). In the city the population was spread out with 24.2% under the age of 18, 10.7% from 18 to 24, 29.4% from 25 to 44, 20.4% from 45 to 64, and 15.3% who were 65 years of age or older. The median age was 36 years. For every 100 females there were 88.7 males. For every 100 females age 18 and over, there were 84.1 males. The mother house of the Sisters of Saint Agnes is located in Fond du Lac. 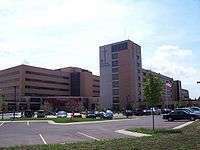 The order operates Agnesian HealthCare and St. Agnes Hospital in the city. Fond du Lac is the episcopal see of the Episcopal Diocese of Fond du Lac. St. Paul's Cathedral is the mother church of the diocese. 42.7% of Fond du Lac residents do not affiliate with any religion. Goodrich High School was the public high school from 1922 to 2001. When Fond du Lac High School was built, the Goodrich building became Riverside Elementary school. The main retail district includes Forest Mall which includes a Kohl's and a Younkers. Other retailers in Fond du Lac include Shopko, Walmart, Target, Mills Fleet Farm and Menards. On August 15, 2016, it was announced that the Wisconsin Timber Rattlers and Marian University were teaming up to bring a Northwoods League baseball team to the city in 2017. The new team will use Herr-Baker Field, which is on the Marian University campus. The team is holding a public competition to choose the new name. 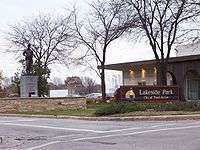 The largest park in Fond du Lac, Lakeside Park contains more than 400 acres (1.6 km2) of open recreational space on the south end of Lake Winnebago. Year-round activities include a whitetail deer exhibit. Summer activities include flower displays, boating, picnics, and weddings within the park's picturesque landscape. From April 15 to October 15, the Lakeside Park Lighthouse, built in 1933, and its observation tower are open. Visitors can take rides on a miniature train and an antique carousel. The park also contains four jungle gyms and a petting zoo. A steam locomotive stands at the Main Street entrance to the park, donated by the Soo Line in 1955. Lakeside Park hosts a holiday event featuring a "dancing lights" display, decorations and music. The Canadian National now operates the only railroad in Fond du Lac. Fond du Lac was the headquarters of the Wisconsin Central Railroad until 2001. It was part of the Soo Line until 1987. Fond du Lac Area Transit is the local public transit operator in the city. The first public transit in Fond du Lac was a privately owned streetcar service in the 1880s; it converted to busses from 1944 to 1967. After several private operators, the bus system ceased operations in 1967. The current city-owned transit system began operations in 1973. Interstate 41 Northbound, I-41 routes to Oshkosh. Southbound, I-41 routes to Milwaukee via Lomira. I-41 is a freeway bypassing Fond du Lac on the west side with 5 interchanges serving the area. The interchanges are at US 151, Hickory St, Hwy D Military Rd, Wis 23 Johnson St, and Hwy OO Winnebago St. The interchange for Wis 175 Main St was removed when the new US 151 bypass was built. US 45 travels north to Oshkosh, Wisconsin along the lakeshore of Lake Winnebago, and south to West Bend via Eden and Kewaskum. US 45 has been rerouted onto the US 151 bypass, I-41/US 41, and Wis 23. The former route was returned to local control. 1 2 "US Gazetteer files 2010". United States Census Bureau. Retrieved 2012-11-18. 1 2 "American FactFinder". United States Census Bureau. Retrieved 2012-11-18. ↑ Mentzer, Michael (199). Fond du Lac County: Gift of the Glacier. Fond du Lac, WI USA: Fond du Lac County Historical Society. p. 212. ISBN 0-9631213-0-8. ↑ Barden, Cindy (1998). Foot of the Lake: An Early History of Fond du Lac, Wisconsin. Fond du Lac, WI USA: Fond du Lac Public Library Board of Trustees. p. 64. ASIN B0006E82KA. ↑ "HISTORY BY THE LAKE: STUDIES IN THE HISTORY OF FOND DU LAC AND THE LAKE WINNEBAGO REGION" (PDF). Fdlpl.org. Retrieved 2015-11-28. ↑ METROPOLITAN STATISTICAL AREAS AND COMPONENTS, Office of Management and Budget, 2007-05-11. Accessed 2008-08-01. ↑ MICROPOLITAN STATISTICAL AREAS AND COMPONENTS, Office of Management and Budget, 2007-05-11. Accessed 2008-08-01. ↑ COMBINED STATISTICAL AREAS AND COMPONENT CORE BASED STATISTICAL AREAS, Office of Management and Budget, 2007-05-11. Accessed 2008-08-01. ↑ Fond du Lac, Wisconsin Religion Data Archived September 27, 2007, at the Wayback Machine. 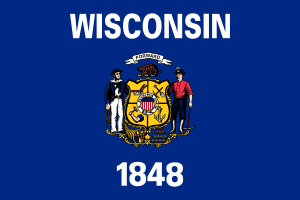 ↑ "Fond_du_Lac, Wisconsin Religion". Bestplaces.net. Retrieved 2015-11-28. ↑ "Fond du Lac School District". Fonddulac.k12.wi.us. Retrieved 2015-11-28. ↑ Archived February 2, 2015, at the Wayback Machine. ↑ "ベルタ葉酸サプリ は男性用も人気があります". Fonddulacchristianschool.com. Retrieved 2015-11-28. ↑ "Trinity Baptist School | Quality education in a Biblical setting". Tbschool.org. Retrieved 2015-11-28. ↑ Archived July 28, 2011, at the Wayback Machine. ↑ Archived May 11, 2008, at the Wayback Machine. ↑ Archived November 21, 2009, at the Wayback Machine. ↑ Archived January 9, 2016, at the Wayback Machine. ↑ "Sustainability". Mercury Marine. Retrieved 2015-11-28. ↑ "Walleye Weekend Family Festival". Fdlfest.com. Retrieved 2015-11-28. ↑ "Children's Museum". Cmfdl.org. 2014-06-20. Retrieved 2015-11-28. 1 2 Rhonda Roberts (August 15, 2016). "Northwoods League team coming to Fond du Lac". WBAY-TV. Retrieved August 15, 2016. ↑ "Lakeside Light Show, Fond du Lac, WI". FDLLights. Retrieved 2015-11-28. 1 2 "Transit History | City of Fond du Lac, Wisconsin". Fdl.wi.gov. Retrieved 2015-11-28. ↑ Juzwiak, Rich (2011-06-13). "QVC's Jeanne Bice Dead at 71". TV Guide. Retrieved 2011-06-27. ↑ David M. Cheney. "Bishop Pablo Ervin Schmitz Simon [Catholic-Hierarchy]". Catholic-hierarchy.org. Retrieved 2015-11-28. "Fond du Lac". Collier's New Encyclopedia. 1921.